I’ve seen many of my clients planning and preparing for their wedding over the next few weeks. So I thought I’d share an insurance tip this week just for engaged couples and newlyweds. You’re spending a lot of money on your wedding and those new rings. Make sure they’re covered! Jewelry is covered under your Homeowners or Renters insurance. BUT…the coverage amount can be limited and on top of that, you will have to pay your normal deductible if something happens to that piece. If you don’t cover the individual piece of jewelry specifically, you might not have enough coverage to replace it if it were to be lost or stolen. Here’s what I recommend: Get an appraisal of your rings from the jeweler. 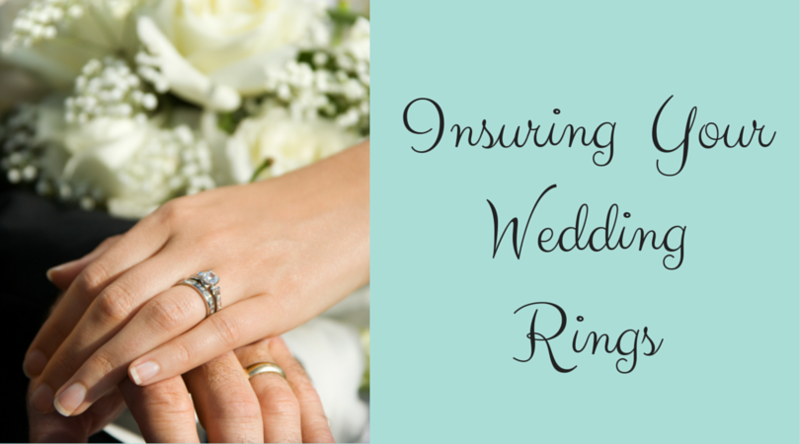 Then bring in a copy and we can quickly let you know what it would be to add the rings to your policy. (We can also discuss deductibles or special coverage.) Depending on the value of the ring, you might spend only a few dollars a year to know that your valuable jewelry is insured. This is peace of mind knowing that even if the stone fell out you are covered worldwide. At the Bryan Agency, we are your leading local insurance agent in New Windsor, Long Island, and New York for Wedding insurance, home insurance, and jewelry insurance.